For many years the average Indian businessman has toiled with incessant payment of taxes at different levels. With the introduction of GST, this cascading effect of the tax is eliminated. GST merges all the taxes prevalent presently into a single system of indirect taxation. 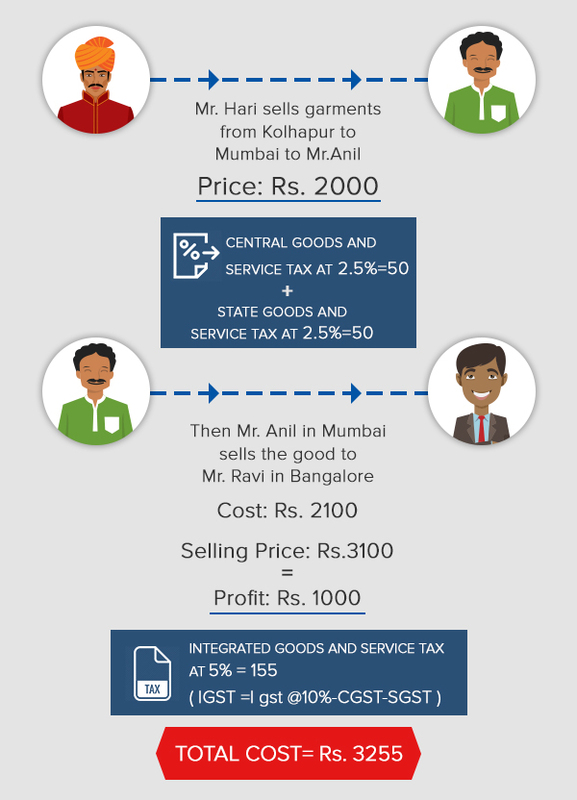 GST in India is a destination based* taxation system. This is because revenue will belong to the states where the goods are finally consumed and not to the State where the goods are produced. It determines transactions based on their nature whether it is intrastate (within the same state) or inter-state (amongst two or more states). *Indirect taxes can be either origin based or destination based. 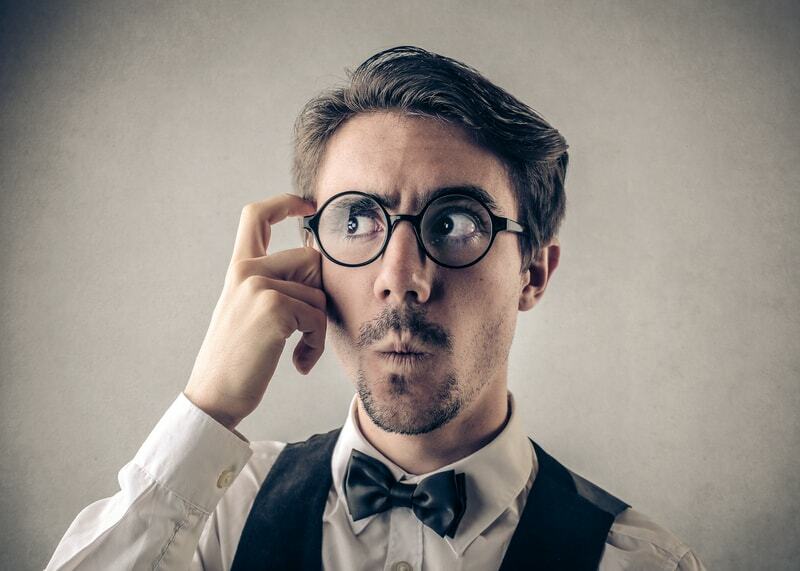 Origin-based tax (also known as production tax) is levied where goods or services are produced. Destination-based tax (consumption tax) is levied where goods and services are consumed. In destination-based taxation, exports are allowed with zero taxes whereas imports are taxed on par with the domestic production. The examples below will make this clearer. So for an average Indian consumer, the cost of this product will be Rs. 3520 due to taxes. So now for an average Indian consumer, the cost of this product will be Rs. 3255 due to Goods and Service Tax Act (GST ACT). Therefore tax paid on sale within the state can be claimed against tax paid on sale outside the state under the GST system. The current tax system lacks this advantage. Under GST many state-level taxes will be subsumed. These are the State VAT, Central Sales Tax, Luxury Tax, Entry Tax (all forms), Entertainment and Amusement Tax (except when levied by the local bodies), Taxes on advertisements, Purchase Tax, Taxes on lotteries, betting and gambling, State Surcharges and cesses so far as they relate to supply of goods and services. It also replaces taxes levied and collected by the center. 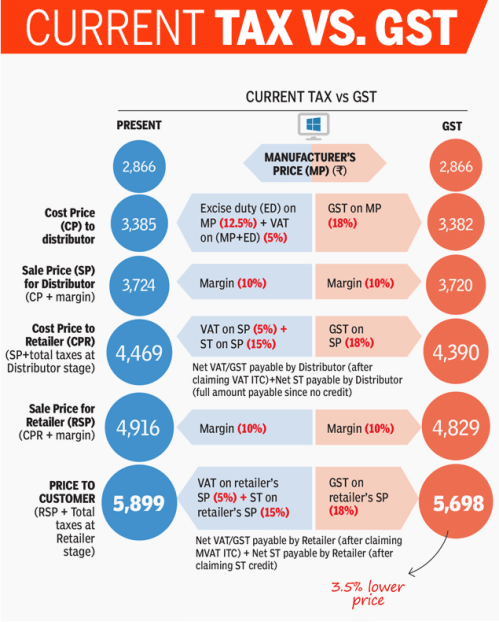 As a consumer you must know GST doesn’t only imply reducing of prices, there are some goods that may increase. These are tobacco goods, Commercial vehicles such as trucks, mobile phone calls may get costlier as service tax will go up, textile and branded jewelry may become costlier! But on the brighter side, prices of entry-level cars, two-wheelers, SUVs, car batteries, paint, and cement are likely to fall, even movie ticket prices likely to fall as entertainment tax will come down and lastly electronic items like fans, lighting, water heaters, air coolers, etc. may get cheaper. Alcohol and petroleum products will not be included in the GST ambit as these are highly inelastic in demand and form a major source of taxation revenues for the state. Alcohol consumption in India is considered a social evil; hence taxes imposed on them are justified, but cleverly disguised behind the implication that they provide maximum revenue to states. GST will work on a 4 tier taxation system. 5%, 12%, 18% and 28%, are the tax slabs with lower rates for essential items and the highest for luxury and de-merits goods that would also attract an additional cess. 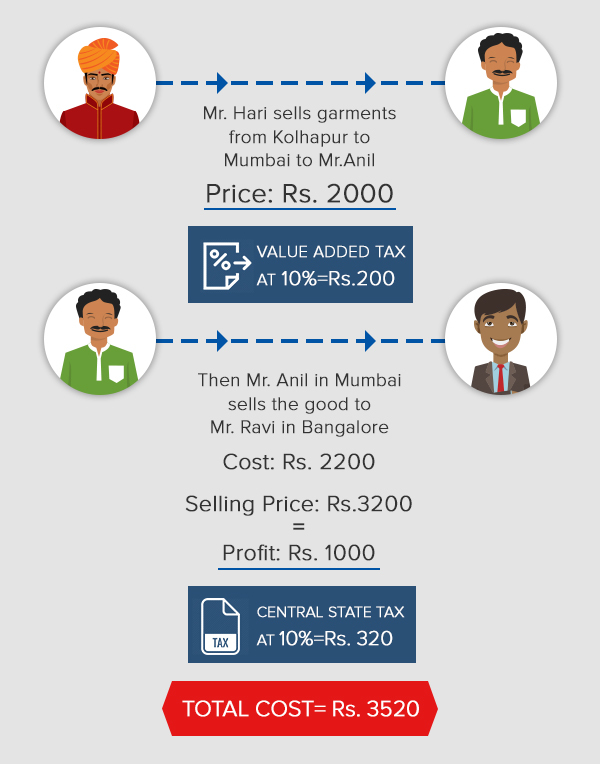 To know more in detail about these tax slabs continue reading our GST series! We have a lot in store for you! Upcoming topics: GST TAX SLABS, BENEFITS OF GST TO BUSINESSES, HOW WILL GST IMPACT E-COMMERCE BUSINESS?